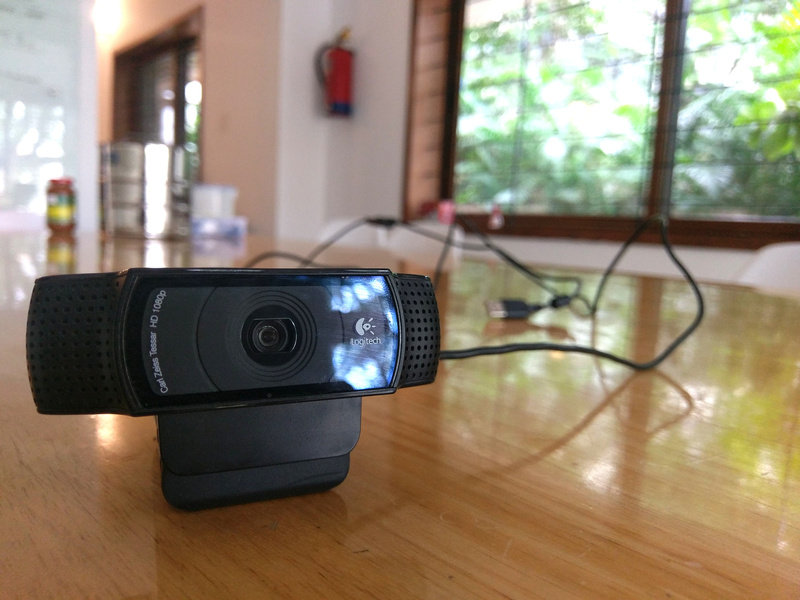 For those of you who are not familiar with it, PipeWire (previously Pinos, previously PulseVideo) was Wim’s effort at providing secure, multi-program access to video devices (like webcams, or the desktop for screen capture). As he went down that rabbit hole, he wrote SPA, a lightweight general-purpose framework for representing a streaming graph, and this led to the idea of expanding the project to include support for low latency audio. The Linux userspace audio story has, for the longest time, consisted of two top-level components: PulseAudio which handles consumer audio (power efficiency, wide range of arbitrary hardware), and JACK which deals with pro audio (low latency, high performance). Consolidating this into a good out-of-the-box experience for all use-cases has been a long-standing goal for myself and others in the community that I have spoken to. From a PulseAudio perspective, it has been hard to achieve the 1-to-few millisecond latency numbers that would be absolutely necessary for professional audio use-cases. A lot of work has gone into improving this situation, most recently with David Henningsson’s shared-ringbuffer channels that made client/server communication more efficient. At the same time, as application sandboxing frameworks such as Flatpak have added security requirements of us that were not accounted for when PulseAudio was written. Examples including choosing which devices an application has access to (or can even know of) or which applications can act as control entities (set routing etc., enable/disable devices). Some work has gone into this — Ahmed Darwish did some key work to get memfd support in PulseAudio, and Wim has prototyped an access-control mechanism module to enable a Flatpak portal for sound. All this said, there are still fundamental limitations in architectural decisions in PulseAudio that would require significant plumbing to address. With Wim’s work on PipeWire and his extensive background with GStreamer and PulseAudio itself, I think we have an opportunity to revisit some of those decisions with the benefit of a decade’s worth of learning deploying PulseAudio in various domains starting from desktops/laptops to phones, cars, robots, home audio, telephony systems and a lot more. There are some core ideas of PipeWire that I am quite excited about. The first of these is the graph. Like JACK, the entities that participate in the data flow are represented by PipeWire as nodes in a graph, and routing between nodes is very flexible — you can route applications to playback devices and capture devices to applications, but you can also route applications to other applications, and this is notionally the same thing. The second idea is a bit more radical — PipeWire itself only “runs” the graph. The actual connections between nodes are created and managed by a “session manager”. This allows us to completely separate the data flow from policy, which means we could write completely separate policy for desktop use cases vs. specific embedded use cases. I’m particularly excited to see this be scriptable in a higher-level language, which is something Bastien has already started work on! A powerful idea in PulseAudio was rewinding — the ability to send out huge buffers to the device, but the flexibility to rewind that data when things changed (a new stream got added, or the stream moved, or the volume changed). While this is great for power saving, it is a significant amount of complexity in the code. In addition, with some filters in the data path, rewinding can break the algorithm by introducing non-linearity. PipeWire doesn’t support rewinds, and we will need to find a good way to manage latencies to account for low power use cases. One example is that we could have the session manager bump up the device latency when we know latency doesn’t matter (Android does this when the screen is off). There are a bunch of other things that are in the process of being fleshed out, like being able to represent the hardware as a graph as well, to have a clearer idea of what is going on within a node. More updates as these things are more concrete. There is a good summary by Christian about our discussion about what is missing and how we can go about trying to make a smooth transition for PulseAudio users. There is, of course, a lot to do, and my ideal outcome is that we one day flip a switch and nobody knows that we have done so. In practice, we’ll need to figure out how to make this transition seamless for most people, while folks with custom setup will need to be given a long runway and clear documentation to know what to do. It’s way to early to talk about this in more specifics, however. One key thing that PulseAudio does right (I know there are people who disagree!) is having a custom configuration that automagically works on a lot of Intel HDA-based systems. We’ve been wondering how to deal with this in PipeWire, and the path we think makes sense is to transition to ALSA UCM configuration. This is not as flexible as we need it to be, but I’d like to extend it for that purpose if possible. 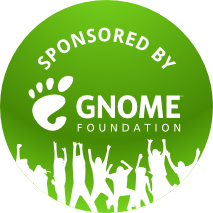 This would ideally also help consolidate the various methods of configuration being used by the various Linux userspaces. The transition to PipeWire is unlikely to be quick or completely-painless or free of contention. For those who are worried about the future, know that any switch is still a long way away. In the mean time, however, constructive feedback and comments are welcome. PSA: This post has a bunch of Haskell code, but I’m going to try to make it more broadly accessible. Let’s see how that goes. I’ve been proceeding apace with my 3rd year in Abhinav’s Haskell classes at Nilenso, and we just got done with the section on Applicative Functors. I’m at that point when I finally “get” it, so I thought I’d document the process, and maybe capture my a-ha moment of Applicatives. I should point out that the ideas and approach in this post are all based on Abhinav’s class material (and I’ve found them really effective in understanding the underlying concepts). Many thanks are due to him, and any lack of clarity you find ahead is in my own understanding. Easy enough. fmap takes a function that transforms something of type a to type b and a value of type a in a context f. It produces a value of type b in the same context. The Applicative typeclass adds two things to Functor. Firstly, it gives us a means of putting things inside a context (also called lifting). The second is to apply a function within a context. This function takes two numbers in the Maybe context (that is, they either exist, or are Nothing), and adds them. The result will be the sum if both numbers exist, or Nothing if either or both do not. Go ahead and convince yourself that it is painful to express this generically with just fmap. This more or less directly maps to what we just said. A Parser is a data type which has two type parameters — an input type and an output type. It contains a function that takes one argument of the input type, and produces a tuple of Maybe the output type (signifying if parsing succeeded) and the rest of the input. The “rest” part is important for the reason that we would like to be able to chain small parsers together to make bigger parsers. We do this using “parser combinators” — functions that take one or more parsers and return a more complex parser formed by combining them in some way. We’ll see some of those ways as we go along. Before we proceed, let’s define Functor and Applicative instances for our Parser type. The intuition here is clear — if I have a parser that takes some input and provides some output, fmaping a function on that parser translates to applying that function on the output of the parser. The Applicative instance is a bit more involved than Functor. What we’re doing first is “running” the first parser which gives us the function we want to apply (remember that this is a curried function, so rather than parsing out a function, we are most likely parsing out a value and creating a function with that). If we succeed, then we run the second parser to get a value to apply the function to. If this is also successful, we apply the function to the value, and return the result within the parser context (i.e. the result, and the rest of the input). Now let’s try to make a parser that takes a string, and if it finds a ASCII digit character, provides the corresponding integer value. We have a function from the Data.Char module to match ASCII digit characters — isDigit. We also have a function to take a digit character and give us an integer — digitToInt. Putting this together with satisfy above. And that’s it! Note how we used our higher-order satisfy function to match a ASCII digit character and the Functor instance to apply digitToInt to the result of that parser (reminder: <$> is just the infix form of writing fmap — this is the same as fmap digitToInt (satisfy digit). Another example — a character parser, which succeeds if the next character in the input is a specific character we choose. Once again, the satisfy function makes this a breeze. I must say I’m pleased with the conciseness of this. Finally, let’s combine character parsers to create a word parser — a parser that succeeds if the input is a given word. The function takes two arguments — a single element of type a, and a list of elements of type a. If we expand the types some more, we’ll see that the first argument we give it is a Parser String Char and the second is a Parser String [Char] (String is just an alias for [Char]). JSON is a relatively simple format to parse, and makes for a good example for building a parser. The JSON website has a couple of good depictions of the JSON language grammar front and center. So that defines our parser problem then — we want to read a string input, and convert it into some sort of in-memory representation of the JSON value. Let’s see what that would look like in Haskell. The JSON specification does not really tell us what type to use for numbers. We could just use a Double, but to make things interesting, we represent it as an arbitrary precision floating point number. Note that the JsonArray and JsonObject constructors are recursive, as they should be — a JSON array is an array of JSON values, and a JSON object is a mapping from string keys to JSON values. We now have the pieces we need to start parsing JSON. Let’s start with the easy bits. To parse a null we literally just look for the word “null”. The $> operator is a flipped shortcut for fmap . const — it evaluates the argument on the left, and then fmaps the argument on the right onto it. If the word "null" parser is successful (Just "null"), we’ll fmap the JsonValue representing null to replace the string "null" (i.e. we’ll get a (Just JsonNull, <rest of the input>)). The Alternative instance is easy to follow once you understand Applicative. We define an empty parser that matches nothing. Then we define the alternative operator (<|>) as we might intuitively imagine. We run the parser given as the first argument first, if it succeeds we are done. If it fails, we run the second parser on the whole input again, if it succeeds, we return that value. If both fail, we return Nothing. We are easily able express the idea of trying to parse for the string “true”, and if that fails, trying again for the string “false”. If either matches, we have a boolean value, if not, Nothing. Again, nice and concise. hexDigit is easy to follow. It just matches anything from 0-9 and a-f or A-F.
digitsToNumber is a pure function that takes a list of digits, and interprets it as a number in the given base. We do some jumping through hoops with fromIntegral to take Int digits (mapping to a normal word-sized integer) and produce an Integer (arbitrary sized integer). A string is a valid JSON character, surrounded by quotes. The *> and <* operators allow us to chain parsers whose output we wish to discard (since the quotes are not part of the actual string itself). The many function comes from the Alternative typeclass. It represents zero or more instances of context. In our case, it tries to match zero or more jsonChar parsers. So what does jsonChar do? Following the definition of a character in the JSON spec, first we try to match something that is not a quote ("), a backslash (\) or a control character. If that doesn’t match, we try to match the various escape characters that the specification mentions. Finally, if we get a \u followed by 4 hexadecimal characters, we put them in a list (replicateM 4 hexDigit chains 4 hexDigit parsers and provides the output as a list), convert that list into a base 16 integer (digitsToNumber), and then convert that to a Unicode character (chr). The order of chaining these parsers does matter for performance. The first parser in our <|> chain is the one that is most likely (most characters are not escaped). This follows from our definition of the Alternative instance. We run the first parser, then the second, and so on. We want this to succeed as early as possible so we don’t run more parsers than necessary. We take a parser for our values (v), and a parser for our separator (s). We try to parse one or more v separated by s, and or just return an empty list in the parser context if there are none. Nice, that’s really succinct. But wait! What is json? The JSON object and number parsers follow the same pattern. So far we’ve ignored spaces in the input, but those can be consumed and ignored easily enough based on what we’ve learned. You can find the complete code for this exercise on Github. If you’ve made it this far, thank you! I realise this is long and somewhat dense, but I am very excited by how elegantly Haskell allows us to express these ideas, using fundamental aspects of its type(class) system. A nice real world example of how you might use this is the optparse-applicative package which uses these ideas to greatly simplify the otherwise dreary task of parsing command line arguments. I hope this post generates at least some of the excitement in you that it has in me. Feel free to leave your comments and thoughts below. I’ve written a bit in my last two blog posts about the work I’ve been doing in inter-device synchronised playback using GStreamer. I introduced the library and then demonstrated its use in building video walls. The important thing in synchronisation, of course, is how much in-sync are the streams? The video in my previous post gave a glimpse into that, and in this post I’ll expand on that with a more rigorous, quantifiable approach. Before I start, a quick note: I am currently providing freelance consulting around GStreamer, PulseAudio and open source multimedia in general. If you’re looking for help with any of these, do get in touch. What is it that we are trying to measure? Let’s look at this in terms of the outcome — I have two computers, on a network. Using the gst-sync-server library, I play a stream on both of them. The ideal outcome is that the same video frame is displayed at exactly the same time, and the audio sample being played out of the respective speakers is also identical at any given instant. As we saw previously, the video output is not a good way to measure what we want. This is because video displays are updated in sync with the display clock, over which consumer hardware generally does not have control. Besides, our eyes are not that sensitive to minor differences in timing unless images are side-by-side. After all, we’re fooling it with static pictures that change every 16.67ms or so. Using audio, though, we should be able to do better. Digital audio streams for music/videos typically consist of 44100 or 48000 samples a second, so we have a much finer granularity than video provides us. The human ear is also fairly sensitive to timings with regards to sound. If it hears the same sound at an interval larger than 10 ms, you will hear two distinct sounds and the echo will annoy you to no end. Measuring audio is also good enough because once you’ve got audio in sync, GStreamer will take care of A/V sync itself. As before, I’ve set up my desktop PC and laptop to play the same stream in sync. The stream being played is a local audio file — I’m keeping the setup simple by not adding network streaming to the equation. I’ve connected the 3.5mm audio output of both the computers to my faithful digital oscilloscope (a Tektronix TBS 1072B if you wanted to know). So now measuring synchronisation is really a question of seeing how far apart the leading edge of the sine wave on the tick is. The last piece to worry about — the network. How well we can sync the two streams depends on how well we can synchronise the clocks of the pipeline we’re running on each of the two devices. I’ll talk about how this works in a subsequent post, but my measurements are done on both a wired and wireless network. Before we get into it, we should keep in mind that due to how we synchronise streams — using a network clock — how in-sync our streams are will vary over time depending on the quality of the network connection. If this variation is small enough, it won’t be noticeable. If it is large (10s of milliseconds), then we may notice start to notice it as echo, or glitches when the pipeline tries to correct for the lack of sync. 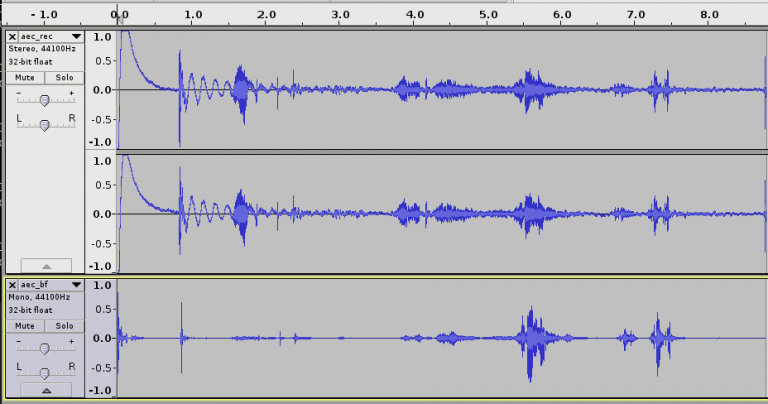 The first two images show the best case — we need to zoom in real close to see how out of sync the audio is, and it’s roughly 50µs. The next two images show the “worst case”. This time, the zoomed out (5ms) version shows some out-of-sync-ness, and on zooming in, we see that it’s in the order of 500µs. So even our bad case is actually quite good — sound travels at about 340 m/s, so 500µs is the equivalent of two speakers about 17cm apart. On average, the sync can be quite okay. The first pair of images show sync to be within about 300µs. However, the wifi on my desktop is flaky, so you can see it go off up to 2.5ms in the next pair. In my setup, it even goes off up to 10-20ms, before returning to the average case. The next two images show it go back and forth. That’s not good — you can see that the minimum, average and maximum RTT are very different. Our network clock logic probably needs some tuning to deal with this much jitter. These measurements show that we can get some (in my opinion) pretty good synchronisation between devices using GStreamer. I wrote the gst-sync-server library to make it easy to build applications on top of this feature. The obvious area to improve is how we cope with jittery networks. We’ve added some infrastructure to capture and replay clock synchronisation messages offline. What remains is to build a large enough body of good and bad cases, and then tune the sync algorithm to work as well as possible with all of these. Also, Florent over at Ubicast pointed out a nice tool they’ve written to measure A/V sync on the same device. It would be interesting to modify this to allow for automated measurement of inter-device sync. In a future post, I’ll write more about how we actually achieve synchronisation between devices, and how we can go about improving it. Hello again, and I hope you’re having a pleasant end of the year (if you are, maybe don’t check the news until next year). While the other bits are exciting in their own right, in this post I’m going to talk about the last two items. For those of you who aren’t familiar with the term, a video wall is just an array of displays stacked to make a larger display. These are often used in public installations. 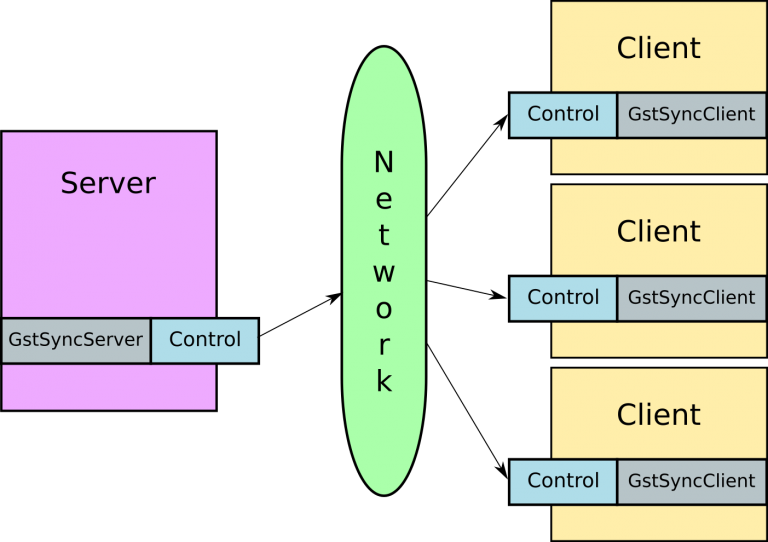 The tricky part, of course, is synchronisation — which is where gst-sync-server comes in. Since we’re able to play a given stream in sync across devices on a network, the only missing piece was the ability to distribute a set of per-client transformations so that clients could apply those, and that is now done. This allows us to do fancy things like having each client manage its own information with the server dynamically adapting the set of transformations based on what is connected. Of course, the simpler case of having a static configuration on the server also works. The setup is my laptop, which has an Intel GPU, and my desktop, which has an NVidia GPU. These are connected to two monitors (thanks go out to my good friends from Uncommon for lending me their thin-bezelled displays). The video resolution is 1920×800, and I’ve adjusted the crop parameters to account for the bezels, so the video actually does look continuous. I’ve uploaded the text configuration if you’re curious about what that looks like. As I mention in the video, the synchronisation is not as tight than I would like it to be. This is most likely because of the differing device configurations. I’ve been working with Nicolas to try to address this shortcoming by using some timing extensions that the Wayland protocol allows for. More news on this as it breaks. More generally, I’ve done some work to quantify the degree of sync, but I’m going to leave that for another day. One thing that’s bothering me is that the video transformations are applied in software using GStreamer elements. This works fine(ish) for the hardware I’m developing on, but in real life, we would want to use OpenGL(ES) transformations, or platform specific elements to have hardware-accelerated transformations. My initial thoughts are for this to be either API on playbin or a GstBin that takes a set of transformations as parameters and internally sets up the best method to do this based on whatever sink is available downstream (some sinks provide cropping and other transformations). I’ve only written about video transformations here, but we can do the same with audio transformations too. For example, multi-room audio systems allow you to configure the locations of wireless speakers — so you can set which one’s on the left, and which on the right — and the speaker will automatically play the appropriate channel. Implementing this should be quite easy with the infrastructure that’s currently in place. I hope you enjoyed reading that — I’ve had great responses from a lot of people about how they might be able to use this work. If there’s something you’d like to see, leave a comment or file an issue. Happy end of the year, and all the best for 2017! In case you missed it — we got PulseAudio 9.0 out the door, with the echo cancellation improvements that I wrote about. Now is probably a good time for me to make good on my promise to expand upon the subject of beamforming. As with the last post, I’d like to shout out to the wonderful folks at Aldebaran Robotics who made this work possible! Beamforming as a concept is used in various aspects of signal processing including radio waves, but I’m going to be talking about it only as applied to audio. The basic idea is that if you have a number of microphones (a mic array) in some known arrangement, it is possible to “point” or steer the array in a particular direction, so sounds coming from that direction are made louder, while sounds from other directions are rendered softer (attenuated). Practically speaking, it should be easy to see the value of this on a laptop, for example, where you might want to focus a mic array to point in front of the laptop, where the user probably is, and suppress sounds that might be coming from other locations. You can see an example of this in the webcam below. Notice the grilles on either side of the camera — there is a microphone behind each of these. This raises the question of how this effect is achieved. 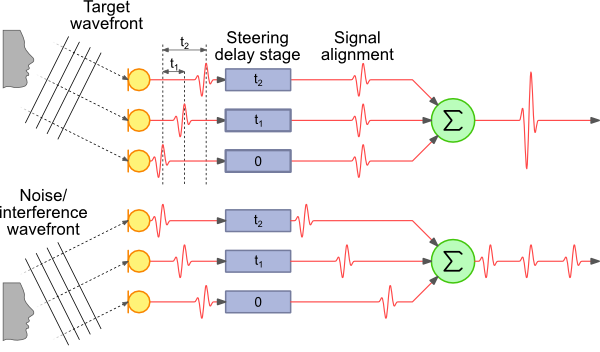 The simplest approach is called “delay-sum beamforming”. The key idea in this approach is that if we have an array of microphones that we want to steer the array at a particular angle, the sound we want to steer at will reach each microphone at a different time. This is illustrated below. The image is taken from this great article describing the principles and math in a lot more detail. In this figure, you can see that the sound from the source we want to listen to reaches the top-most microphone slightly before the next one, which in turn captures the audio slightly before the bottom-most microphone. If we know the distance between the microphones and the angle to which we want to steer the array, we can calculate the additional distance the sound has to travel to each microphone. The speed of sound in air is roughly 340 m/s, and thus we can also calculate how much of a delay occurs between the same sound reaching each microphone. The signal at the first two microphones is delayed using this information, so that we can line up the signal from all three. Then we take the sum of the signal from all three (actually the average, but that’s not too important). The signal from the direction we’re pointing in is going to be strongly correlated, so it will turn out loud and clear. Signals from other directions will end up being attenuated because they will only occur in one of the mics at a given point in time when we’re summing the signals — look at the noise wavefront in the illustration above as an example. The devil is, of course, in the details. Given the microphone geometry and steering direction, calculating the expected delays is relatively easy. We capture audio at a fixed sample rate — let’s assume this is 32000 samples per second, or 32 kHz. That translates to one sample every 31.25 µs. So if we want to delay our signal by 125µs, we can just add a buffer of 4 samples (4 × 31.25 = 125). Sound travels about 4.25 cm in that time, so this is not an unrealistic example. Now, instead, assume the signal needs to be delayed by 80 µs. This translates to 2.56 samples. We’re working in the digital domain — the mic has already converted the analog vibrations in the air into digital samples that have been provided to the CPU. This means that our buffer delay can either be 2 samples or 3, not 2.56. We need another way to add a fractional delay (else we’ll end up with errors in the sum). There is a fair amount of academic work describing methods to perform filtering on a sample to provide a fractional delay. One common way is to apply an FIR filter. However, to keep things simple, the method I chose was the Thiran approximation — the literature suggests that it performs the task reasonably well, and has the advantage of not having to spend a whole lot of CPU cycles first transforming to the frequency domain (which an FIR filter requires)(edit: converting to the frequency domain isn’t necessary, thanks to the folks who pointed this out). I’ve implemented all of this as a separate module in PulseAudio as a beamformer filter module. Now it’s time for a confession. I’m a plumber, not a DSP ninja. My delay-sum beamformer doesn’t do a very good job. I suspect part of it is the limitation of the delay-sum approach, partly the use of an IIR filter (which the Thiran approximation is), and it’s also entirely possible there is a bug in my fractional delay implementation. Reviews and suggestions are welcome! The astute reader has, by now, realised that we are already doing a bunch of processing on incoming audio during voice calls — I’ve written in the previous article about how the webrtc-audio-processing engine provides echo cancellation, acoustic gain control, voice activity detection, and a bunch of other features. 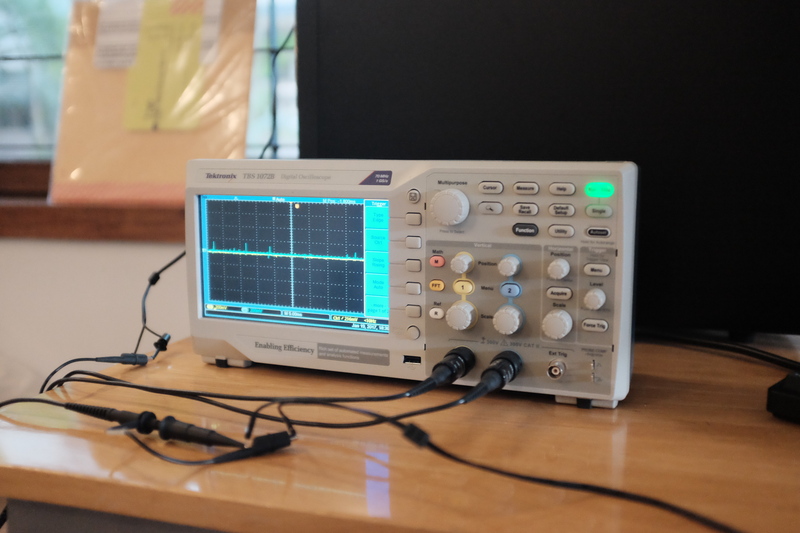 Another feature that the library provides is — you guessed it — beamforming. The engineers at Google (who clearly are DSP ninjas) have a pretty good beamformer implementation, and this is also available via module-echo-cancel. You do need to configure the microphone geometry yourself (which means you have to manually load the module at the moment). Details are on our wiki (thanks to Tanu for that!). How well does this work? Let me show you. The image below is me talking to my laptop, which has two microphones about 4cm apart, on either side of the webcam, above the screen. First I move to the right of the laptop (about 60°, assuming straight ahead is 0°). Then I move to the left by about the same amount (the second speech spike). And finally I speak from the center (a couple of times, since I get distracted by my phone). The upper section represents the microphone input — you’ll see two channels, one corresponding to each mic. The bottom part is the processed version, with echo cancellation, gain control, noise suppression, etc. and beamforming. … and the processed output. Feels like black magic, doesn’t it? The webrtc-audio-processing-based beamforming is already available for you to use. The downside is that you need to load the module manually, rather than have this automatically plugged in when needed (because we don’t have a way to store and retrieve the mic geometry). At some point, I would really like to implement a configuration framework within PulseAudio to allow users to set configuration from some external UI and have that be picked up as needed. Nicolas Dufresne has done some work to wrap the webrtc-audio-processing library functionality in a GStreamer element (and this is in master now). Adding support for beamforming to the element would also be good to have. 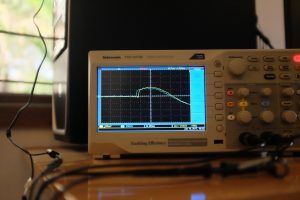 The module-beamformer bits should be a good starting point for folks who want to wrap their own beamforming library and have it used in PulseAudio. Feel free to get in touch with me if you need help with that. As we approach the PulseAudio 9.0 release, I thought it would be a good time to talk about one of the things I had a chance to work on, that landed in this cycle. Old-time readers will remember the work I had done in the past on echo cancellation. If you’re unfamiliar with the concept, imagine a situation where you’re making a call from your phone or laptop. You don’t have a headset, so you use your device’s speaker and microphone. Now when the person on the other end speaks, their voice is played out of your speaker and captured by your mic. This means that they can now also hear what they’re saying, with some lag — this is called echo. If this has happened to you, you know how annoying and disruptive it can be. Using Acoustic Echo Cancellation (AEC), PulseAudio is able to detect this in the captured input, and remove the audio we recently played back. While doing this, we also run some other algorithms to enhance the captured input, such as noise suppression (great at damping out background and fan noise) and acoustic gain control, or AGC, which adjusts the mic volume so you are clearly audible). In addition to voice call use cases, this is also handy to have in other applications such as speech recognition (where you want the device to detect what a user is saying, while possibly playing out other sounds). We don’t implement these algorithms ourselves in PulseAudio. The echo cancellation module — cunningly named module-echo-cancel — provides the infrastructure to plug in different echo canceller implementations. One of these that we support (and recommend), is based on Google’s [WebRTC.org] implementation which includes an extremely capable set of voice processing algorithms. This is a large code-base, intended to support a full real-time communication stack, and we didn’t want to pick up all that code to include in PulseAudio. So what I did was to make a copy of the AudioProcessing module, wrap it in an easy-to-package library, and then used that from PulseAudio. Quite some time passed by, and I didn’t get a chance to update that code, until last October. The AGC module has essentially been rewritten. In practice, we see that it is slower to change the volume. Voice Activity Detection (VAD) has also been split off into its own module and undergone significant changes. Beamforming has been added, to allow you to use a set of microphones to be able to “point” your microphone array in a specific direction (more on this in a later post). There is now an intelligibility enhancer for applying processing on the stream coming in from the far end (so you can hear the other side better). This feature has not been hooked up in PulseAudio yet. There is a transient suppressor for when you’re on a laptop, and your microphone is picking up keystrokes. This can be important since the sound of the keystroke introduces sharp spikes or “transients” in the audio stream, which can throw off the echo canceller that works best with the frequency range of the human voice. This one seems to be work-in-progress, and not actually used yet. In addition to this, I’ve also extended support in module-echo-cancel for performing cancellation on multiple channels. So we are now able to deal with hardware that has any number of playback and capture channels (and they don’t even need to be equal), and we no longer have the artificial restriction of having to downmix things to mono. These changes are in the newly released webrtc-audio-processing v0.2. Unfortunately, we do break API with regards to the previous version. I wrote about this a while back, and hopefully the impact on other users of this library will be minimal. All this work was made possible thanks to Aldebaran Robotics. A special shout-out to Julien Massot and his excellent team! These features are already in our master branch, and will be part of the 9.0 release. If you’re using these features, let me know how things work for you, and watch out for a follow up post about beamforming. If you or your company are looking for help with either PulseAudio or GStreamer, do take a look at the consulting services I currently provide.